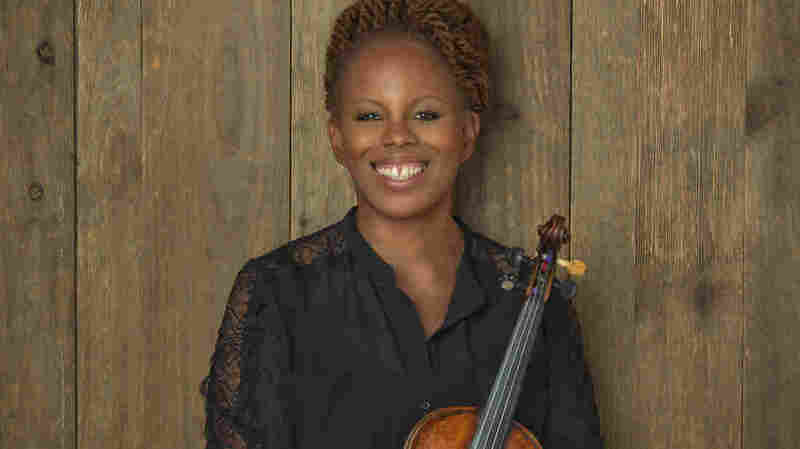 Regina Carter's Jazz Genealogy "The beauty was in the rawness," says the violinist, who based her latest album around field recordings from the American South. "The beauty was in the rawness," Regina Carter says of the field recordings that inspired her new album, Southern Comfort. Jazz violinist Regina Carter grew up in Detroit, but as a child she spent summers in Alabama, where her paternal grandmother lived. Her grandfather died before she was born, and recently she began researching his side of the family. One revelation that sparked her interest: Her dad's dad had been a coal miner. "I thought it would be interesting to record some of the music that would have been popular or happening during his lifetime, growing up in Alabama and the different places he lived and worked," Carter says. "So I went to the Library of Congress, to the Lomax collection, and also John Work III. Just some amazing music that I found." Carter immersed herself in the field recordings of Alan Lomax and John Wesley Work III, looking for music that might have infused the lives of her father's family. What she heard became the basis of her latest album, Southern Comfort. It's a sequel of sorts to 2010's Reverse Thread, an exploration of her African ancestry. "I really wanted, with all of these pieces, to keep the rawness that I heard, and the beauty — because the beauty was in the rawness," she says. "And not to over-decorate them, if you will; to let that beauty come through." Regina Carter discussed the making of Southern Comfort with NPR's Melissa Block. Click the audio link to hear more of their conversation — as well as the music.